Sketchbook | And mightymouse pronounced . . . . You Must Create! 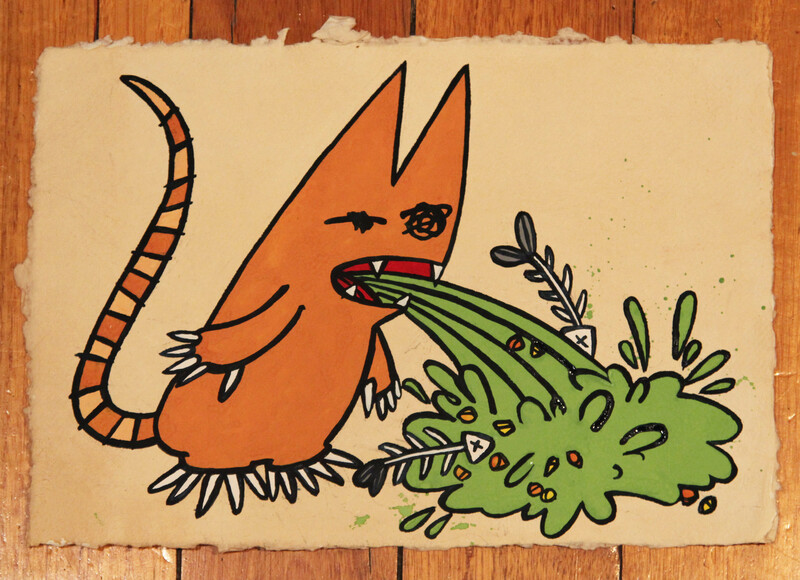 Vomit cat is actually a rather old character I came up with back when I was 19 or so. This is how he looked the first time I drew him, on the whiteboard in the flat of the boy I rather liked at the time… Probably not so surprising that things didn’t go anywhere with the boy, though 10 years later he still remembers my little cat sketch in all its projectile glory – Even though vomit cat has never again featured with said byproduct anywhere outside my sketchbooks up until now. 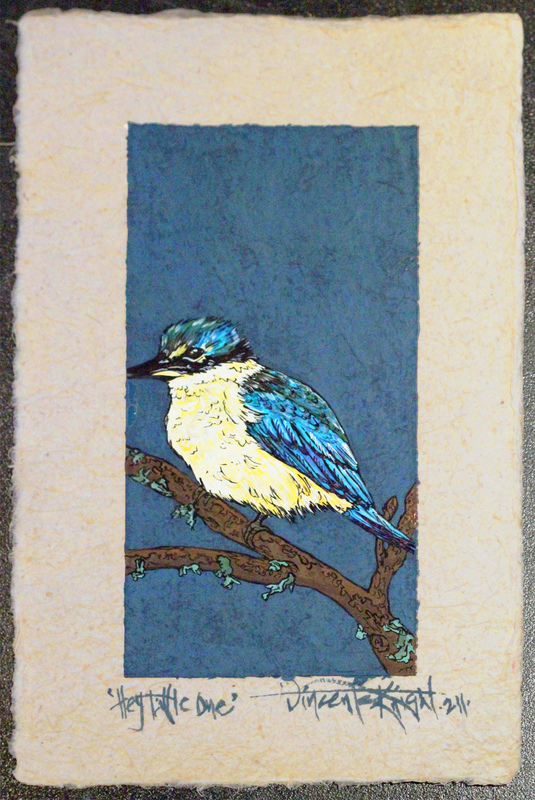 I began with a two tone background made with a print from a vintage embossed wallpaper I’ve been saving. I then built up some texture with a crackle medium that I worked back into with a chocolate gouache which I rubbed back – It gives them a bit of a worn, distressed look when you see them up close. 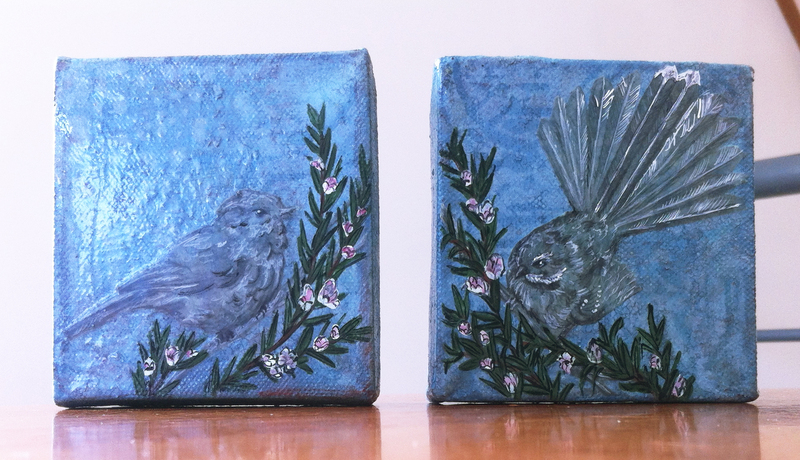 I added the sketches and sealed them onto the canvas with a clear layer of gloss resin, before working over top with gouache for the white highlighting on the birds and the Manuka branches. Sweet. I like the subtle muted colours of these little pieces. 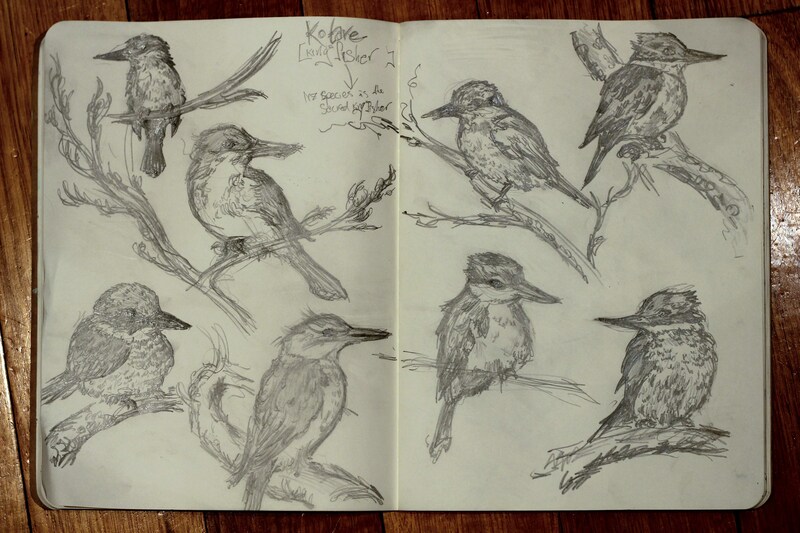 May have to try out a few more with the other four pages of bird sketches I currently have! 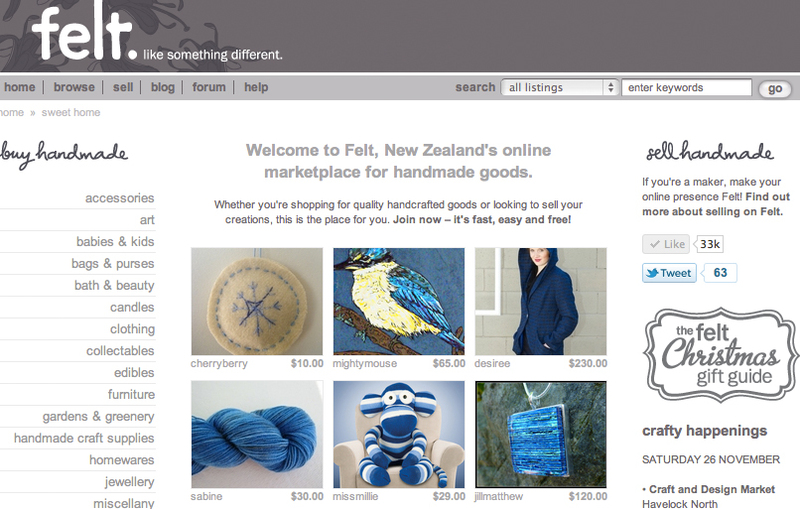 So my Sacred Kingfisher painting Hey little one is featured up on Felt’s homepage at the moment. 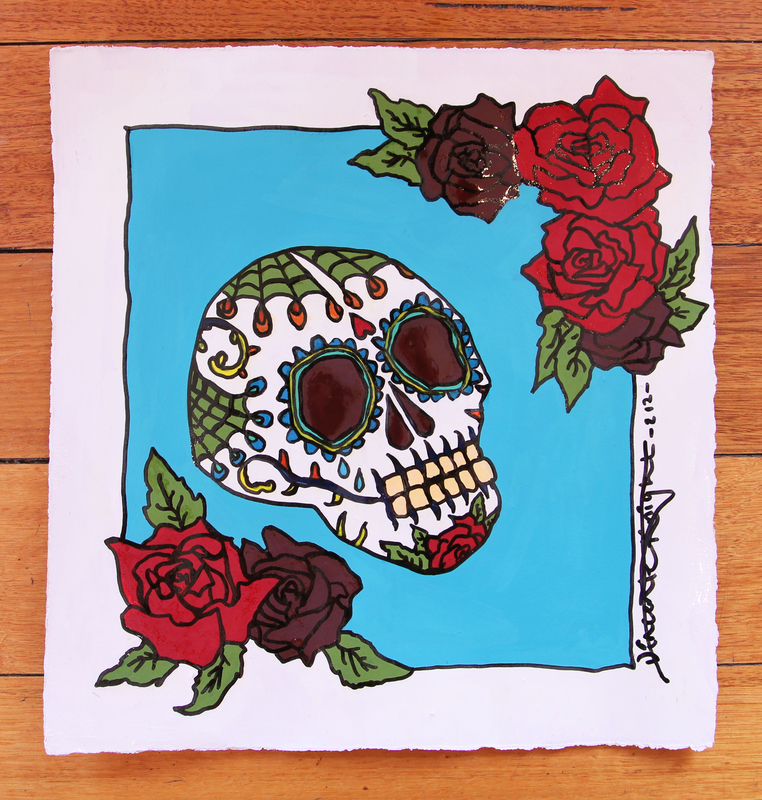 One of six from my Kotare series I was working on earlier this year. The rest of the series can be found in my previous posts : Latest offering, Kotare continued, Saturday sweetness, Productive Saturday goodness and the initial sketches in Sketch 2.0. Loved painting these little birds… Such pretty colours! Oh and my Moth orchid painting’s also featured up in their Christmas gift guide : Gifts for gardeners section. 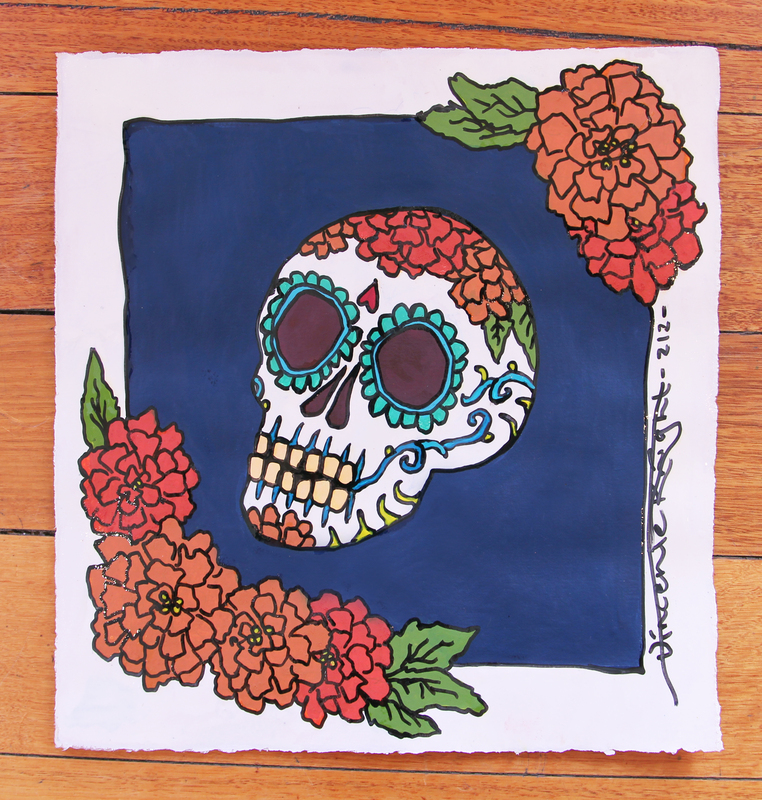 So yay – Big ups to Felt for featuring my work currently! 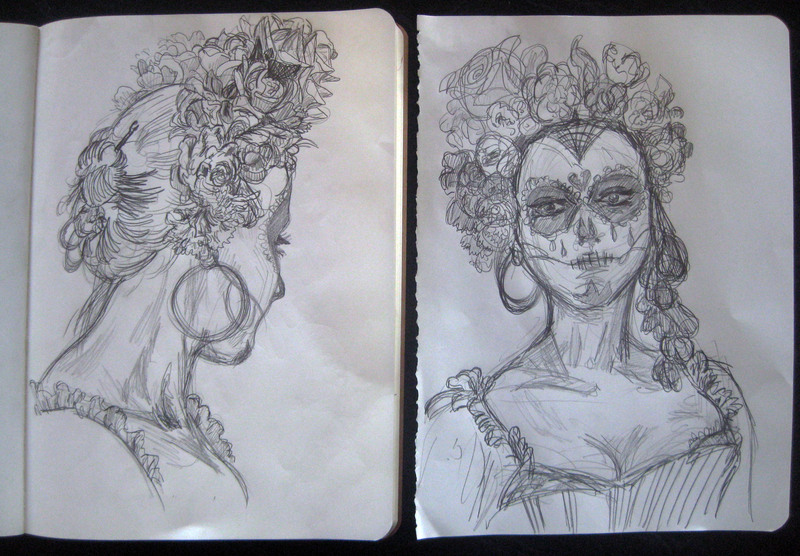 Well here is a second sketch page out of my Moleskine – Kotare this time. But I think I might need to do a few more before moving onto a painted version… I’m still not fully happy with the shape of them yet, Though maybe this will iron itself out when I get colour onto paper – Actually, I can’t wait for the paint part, They’re such beautiful vibrant blues and greens. However before I get to move on to this next stage I really need to get a few of my in-progress pieces completed first… I have a really bad habit of starting a new work and getting distracted half way through, usually with visits back to Nz. Well right now there are no trips back planned, at least for me. So I plan on working through my pile of almost-done-but-not-quite paintings. If I get a couple complete then I’ll let myself start this new project. Good incentive yeah?! This is a page out of my sketchbook that I did last night – Reference drawings of a Riroriro, more commonly known as a Grey Warbler. I had a rather large green bush painting, with a rather small Riroriro that I did years ago after a visit out to Kapiti Island… Only its been sitting rolled up in my parents spare room for the last couple of years. Thought I’d make use of a rather sensible idea I picked up recently – And repurpose the paper, along with parts of the background. So now it’s four smaller pantings, that just need a few more friends adding in… Will post these up when they’re a bit more done!